Silvana has over 15 years of experience in business administration and client service roles. She started her career in the pharmaceutical industry, where she exceled in her role managing Government procurement biddings due to her attention to detail and ability to handle and analyze large amounts of documentation. Her time-management skills, ability to multitask and consistency in meeting strict deadlines are of the greatest value to our day-to-day operations. Since arriving to Canada 7 years ago, Silvana has dedicated herself to supporting immigrants like her to enjoy their new lives in Canada. She has worked for Citizenship and Immigration Canada and Mosaic (a non-profit supporting recent landed immigrants). 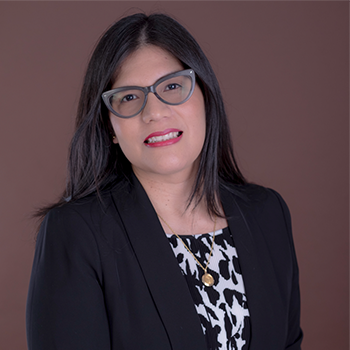 At Perez McKenzie Immigration, Silvana is now helping more people achieve their goal of becoming Permanent Residents in Canada, in order to help them have access to the same quality of life that she and her family enjoy. At Perez McKenzie Immigration we value her team spirit, approachable style and her (sometimes dry) sense of humor. Silvana holds a Diploma in Business Management and a Diploma in Marketing. We will help you make the most informed decisions regarding your immigration plans. We are a solid team of immigration specialists who work closely with a trusted network of internationally recognized experts in immigration law and financial institutions to help you navigate and streamline the immigration process. Our network of experts has the knowledge and expertise to assist clients of all backgrounds and circumstances.